The Royal Australian Navy has paid tribute to recent boarding missions undertaken by its vessels, highlighting the importance of such capabilities for its fleet. Boarding vessels are key for the RAN to achieve “counter-piracy, counter-terrorism and counter-narcotics missions”. The traditional capability, “which is as old as navies themselves”, sees a small team from the ship’s company go aboard a vessel to verify its registry, status and cargo. “Once we close up to boarding stations, I get my team ready by going through a series of checks before I brief them on what we are about to do,” Royal Australian Navy Lieutenant Sam Hicks said. 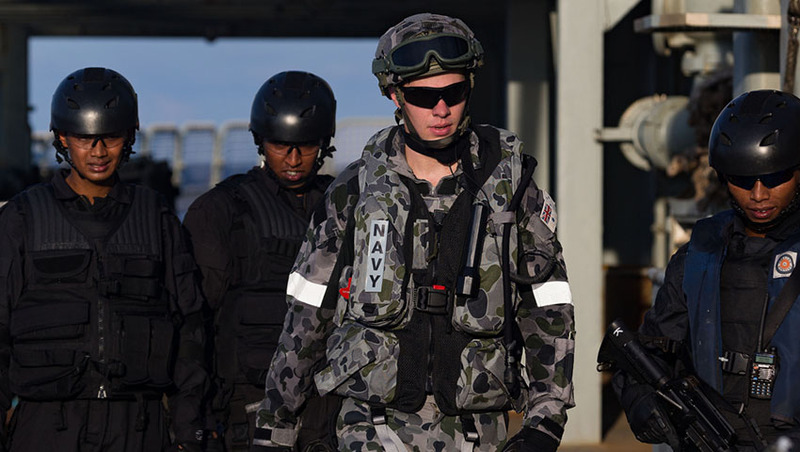 LEUT Hicks led one of HMAS Ballarat boarding teams on operation to the Middle East, which seized more than 3 tonnes of hashish in an operation early in January. The RAN uses RHIBs for over-the-horizon interceptions and to help with boarding capability. The vessels have a range of over 200 nautical miles and can reach speeds of up to 40 knots. The boarding teams require approval before boarding, and once received, the team starts to liaise with the vessel’s crew to verify their purpose. “If we find drugs or contraband, we seize them for disposal later,” LEUT Hicks said. During Ballarat's boarding process, a Seahawk helicopter is sent to watch over the team during the operation. LEUT Hicks’ team trained for nearly 12 months before deployment. “We have conducted a variety of training packages and it is these training packages that put us in a good position to conduct our boardings safely, professionally and on time,” he said.